6,000 THB needed to fix Mee's legs. We went in to the doctor's today to check Mee's blood and get him ready for surgery. He is much happier now and shakes his little tail and rolls around when he see us However, he still can't walk and won't be able to if we can't fix his legs. The doctor told us he would need 3 pins in both legs to allow him to walk again, not just 2 in one leg increasing the price of the surgery by 10,000 THB. 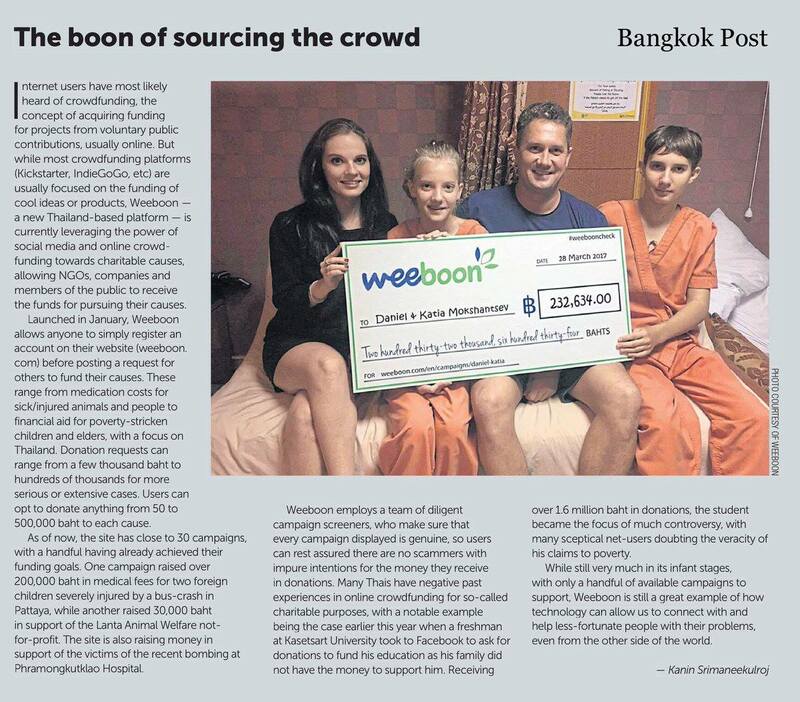 We will chip in another 4,000 THB of our own money but need the extra 6,000 THB to cover the rest and give Mee a chance to walk again. Please help Mee walk with whatever amount you can spare.